To celebrate the amazing career of baseball great Mariano Rivera, Nike has created this one-of-a-kind pack exclusively for Mo. 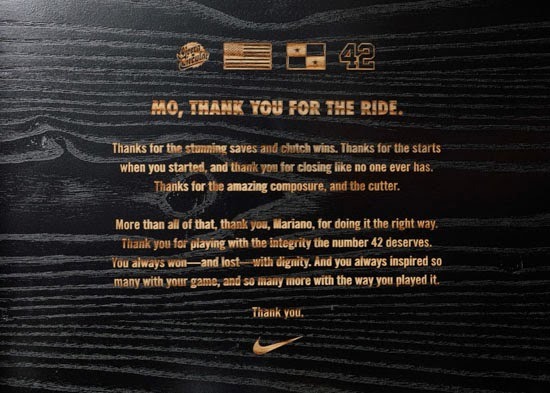 Mo, Thank You for the Ride. Thanks for the stunning saves and clutch wins. Thanks for the starts when you started, and thank you for closing like no one ever has. Thanks for the amazing composure, and the cutter. More than all of that, thank you, Mariano, for doing it the right way. Thank you for playing with the integrity the number 42 deserves. many with your game, and so many more with the way you played it. 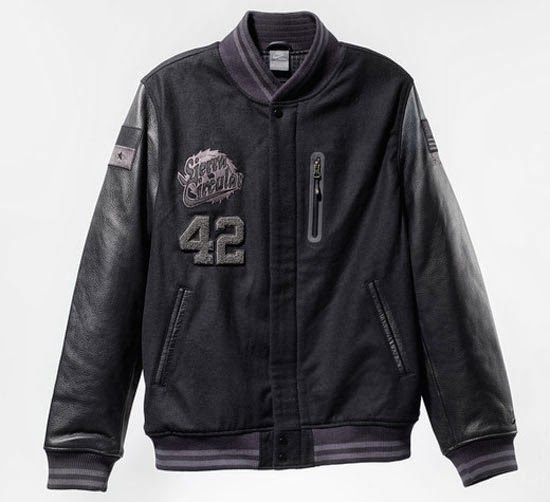 A custom Destroyer Jacket features the words "Sierra Circular", the number 42 on the right chest, the American Flag with Phil 4:13 verse on the right sleeve and the Flag of Panama on the left sleeve. 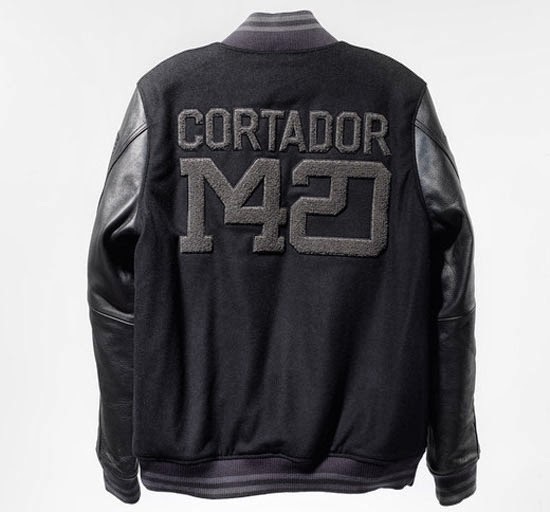 The back of the jacket is inscribed with "Cortador" (cutter) and an interlocking Rivera logo. 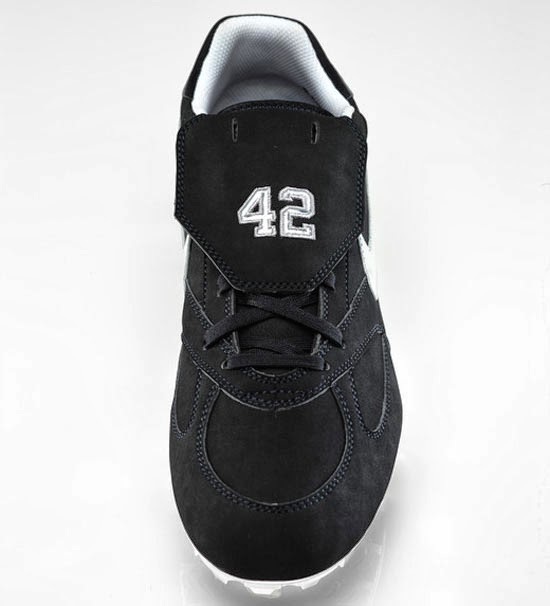 The Mariano custom cleat features the number 42 on the tongue and sockliner. The American flag is highlighted under the tongue flap of the right shoe and the Flag of Panama is featured under the tongue flap of the left shoe. 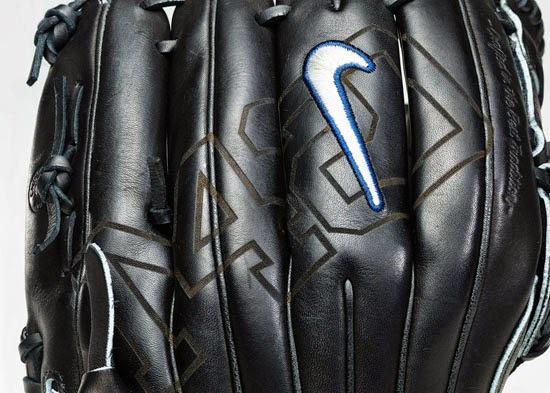 The Nike Pro Gold Tradition glove is inscribed with his name and jersey number. 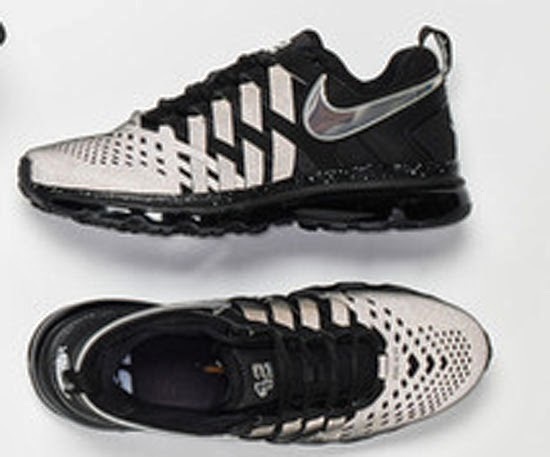 Nike Trainer Max 360 features a silver Nike swoosh and "Sierra circular" on the heel and "Cortador" on the tab. The American flag is embossed on the inside of the tongue of the right shoe and the Flag of Panama is on the inside of the tongue on the left shoe. Nike cotton men's short sleeve tee with reflective print. 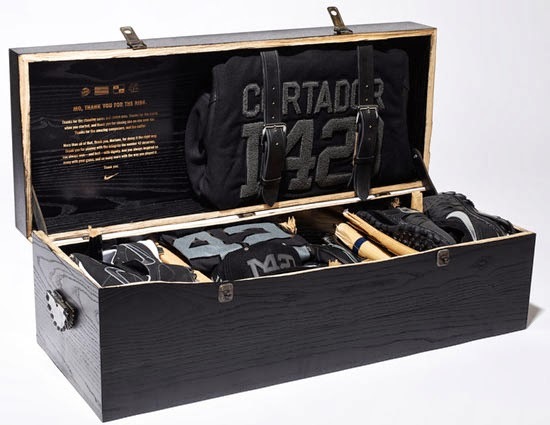 This is also available to purchase on NikeStore.com and is the only item from this exclusive pack available to the public. Nike True Fitted wool blend hat with reflective "MO42" applique on the front, NY logo and "Cortador" on the sides and Nike Swoosh on the back. 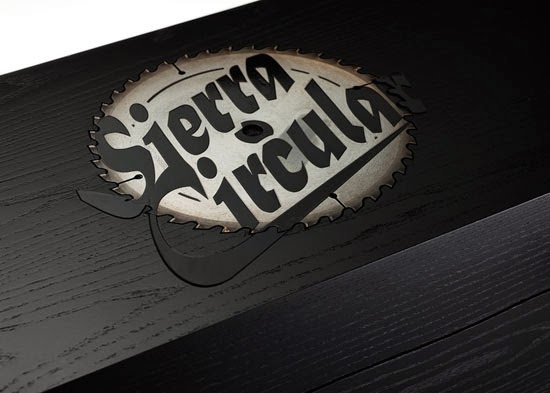 Enjoy the official images below of the Nike "Sierra Circular" Product Pack made exclusively for Mariano Rivera. If you're interested in picking up the shirt from this pack, click here to purchase it at NikeStore.com. Those of you interested in picking up anything else from the pack, if somehow something slips away from Rivera, keep your eyes peeled on eBay here.